Join us Thursday, September 13th and Friday, September 14th for the 34th Annual Cherokee Children’s Home Golf Tournament held at the beautiful Sequoyah National Golf Course. to provide a safe, nurturing home environment for children that encourages positive values, personal growth and cultural enrichment. 8:00 a.m. & 1:30 p.m.
100 Golfers Will Start at 8:00 a.m.
100 Golfers Will Start at 1:30 p.m.
Dinner will be provided following the closing event. 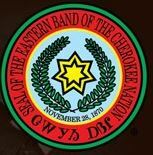 Would you like to be a sponsor or donate directly to the Cherokee Children’s Home? You can fill out our Sponsorship Pledge Form below.